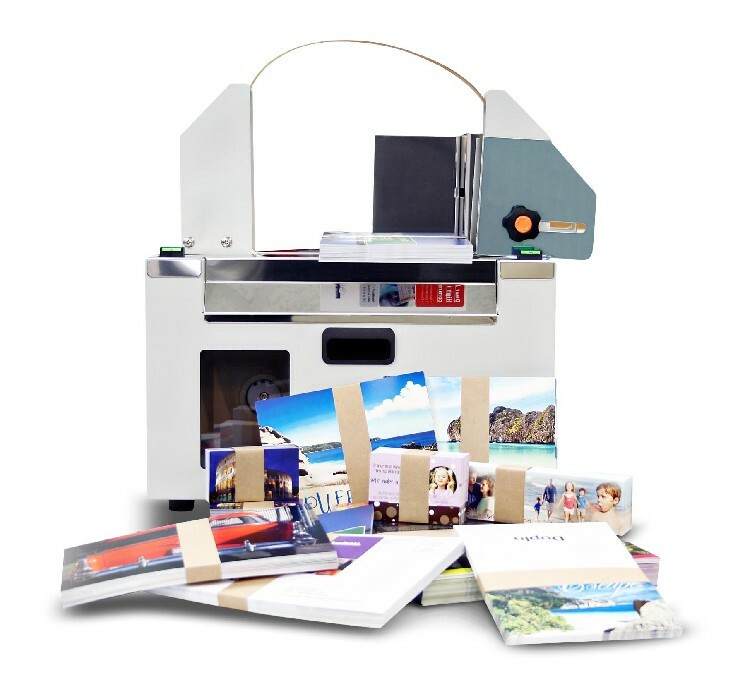 The UP-240 Paper Banding Machine wraps a strip of craft paper or film around the bundle, providing you with the same security but at a lower cost than a box or bag. The UP-240 can be placed near your Duplo finishing machine for an efficient finishing and packaging operation. As soon as your pieces are finished and stacked, collect and place them directly on to the bander. The sensor will detect the bundle and automatically wrap a band around it. It’s packaging made easy!